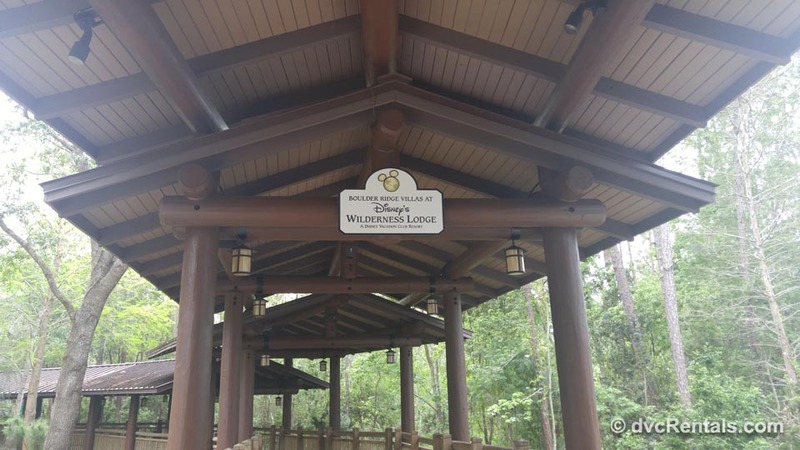 When it was announced that a new Disney Vacation Club resort was being added to Disney’s Wilderness Lodge, I wasn’t just a little excited – I was ECSTATIC! I love the theming of Wilderness Lodge and to hear that more DVC rooms were going to be constructed brought a big smile to my face. For me, Wilderness Lodge is a break away from the hustle and bustle of the parks. A great offering for a whole other side of Disney. Its picturesque setting and beautiful landscaped grounds makes me feel like I’m standing in a national park, yet still close to all of the Disney excitement. 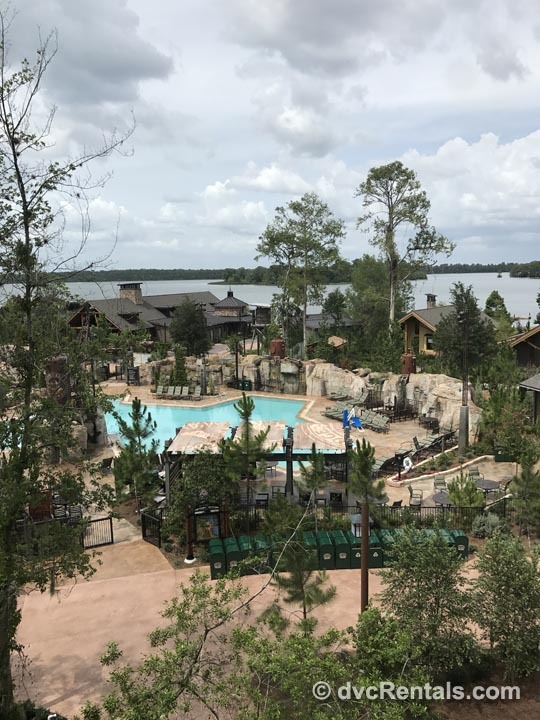 The opening date of July 17, 2017 couldn’t come fast enough and now that the newest resort has officially opened its doors, I thought it’d be nice to take a look at the changes that have occurred. 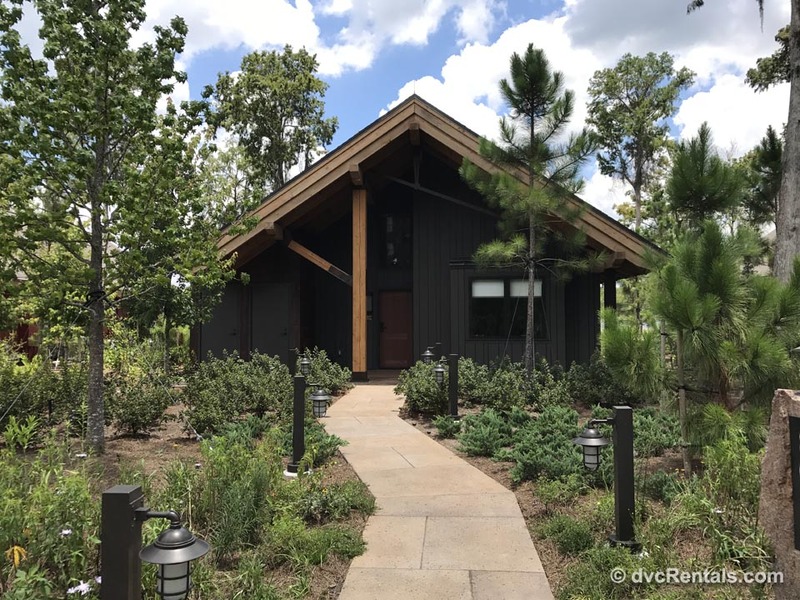 The original DVC rooms at Wilderness Lodge, located in their own building separate from the main lodge, have been renamed Boulder Ridge Villas at Disney’s Wilderness Lodge. 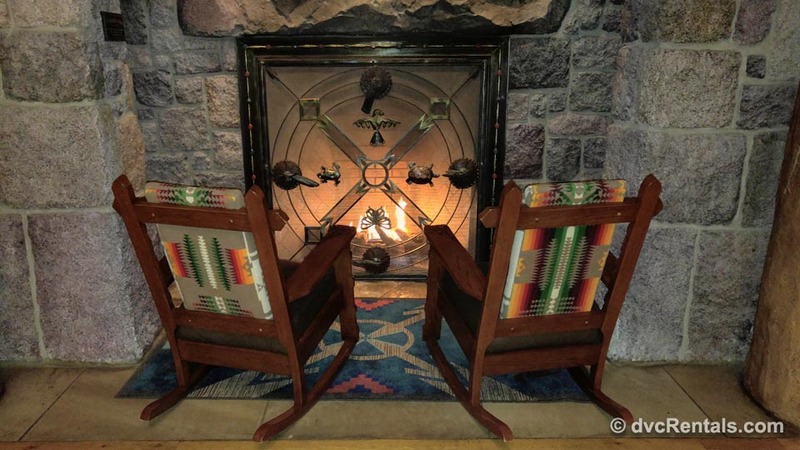 The Boulder Ridge building, with its welcoming seating areas in front of fireplaces, is where I first fell in love with Wilderness Lodge. The leisure pool, which is closest to the Boulder Ridge Villas, has also undergone a complete transformation. It now has enhanced theming and offers new shaded seating areas. 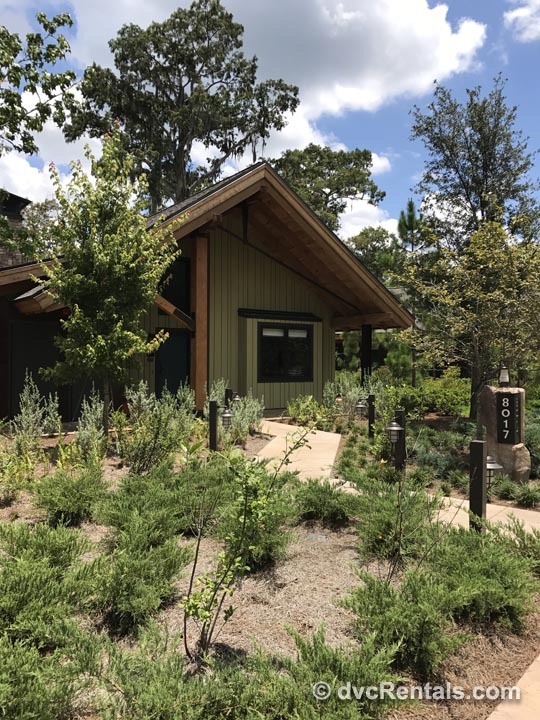 Portions of the main building have been renovated into a new resort, named Copper Creek Villas & Cabins at Disney’s Wilderness Lodge. 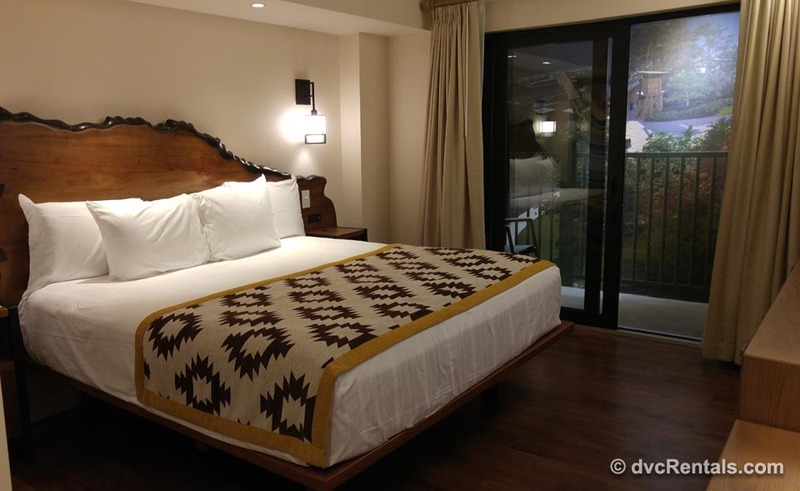 These new DVC rooms in the main building include; studios, 1 bedroom villas, 2 bedroom villas and Grand Villas. 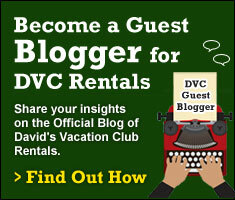 In addition to those DVC room choices, there is what I believe is the most exciting part of Copper Creek, the Cabins! These 26 waterfront buildings, are stand alone units that offer an experience like no other, but I’ll get into more details about those later. 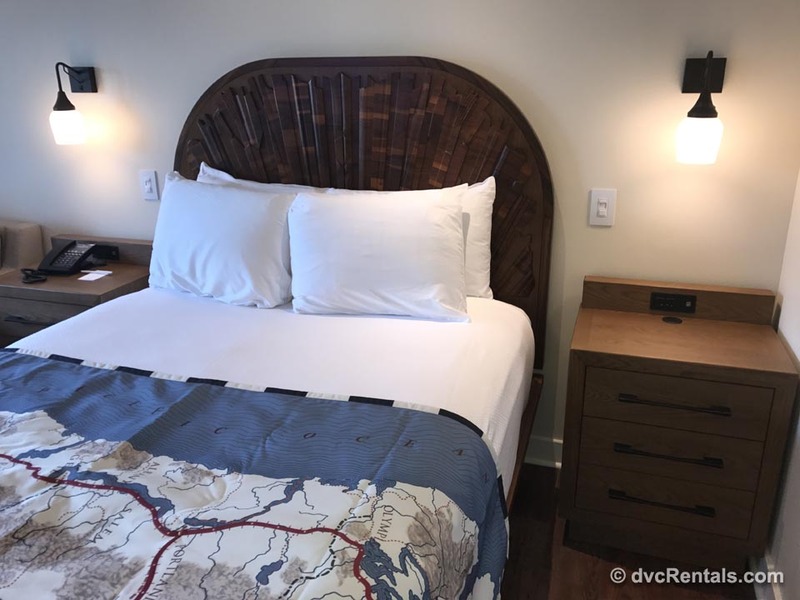 I’ll be honest before touring the new rooms, I worried that Copper Creek wouldn’t have the same warmth that I’ve grown accustomed to with Boulder Ridge. Well, I’m happy to say that my worries have been put to rest. The rooms are gorgeous and the theming can be found within each of the rooms. 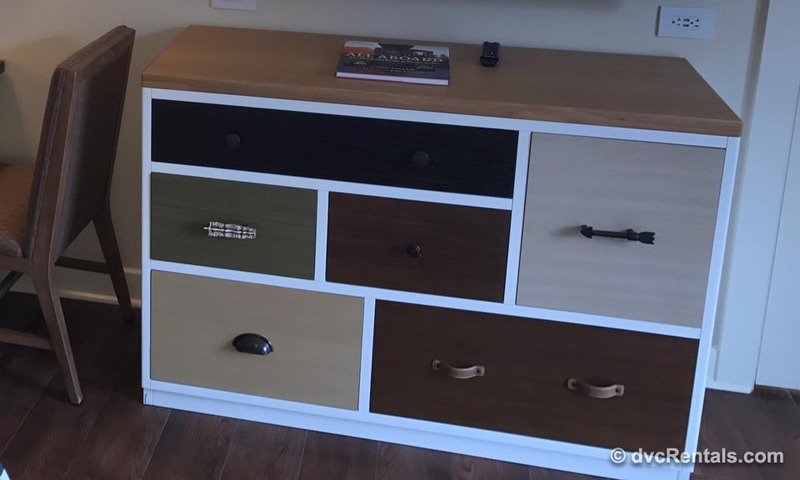 The standout detailing for the studios has to be the handles on the dresser. It’s a mix of various items such as arrowheads and buckles which all align within the Pacific Northwest theme and fit together beautifully. 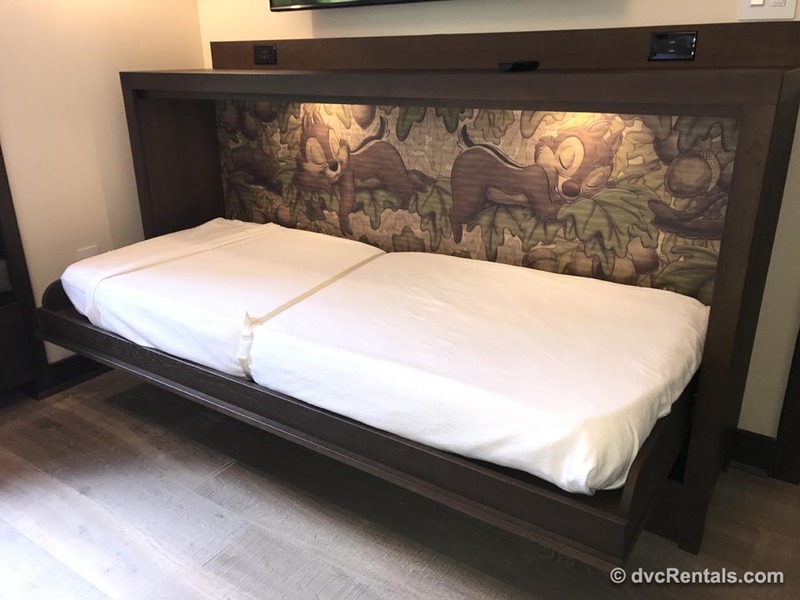 When touring the 1 bedroom and 2 bedroom villas, it’s the headboard in the master bedroom that I love. 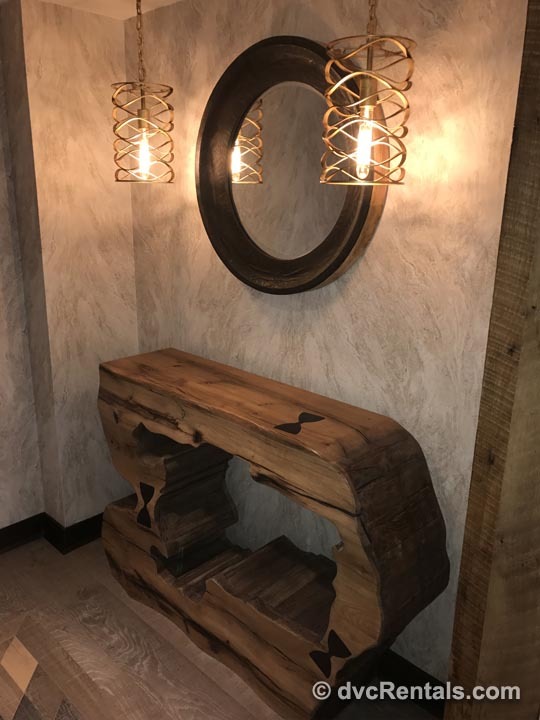 The look of a living edge piece of wood is stunning. 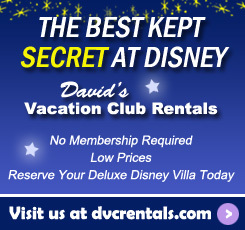 I also like that Disney has not forgotten the hidden Mickeys. 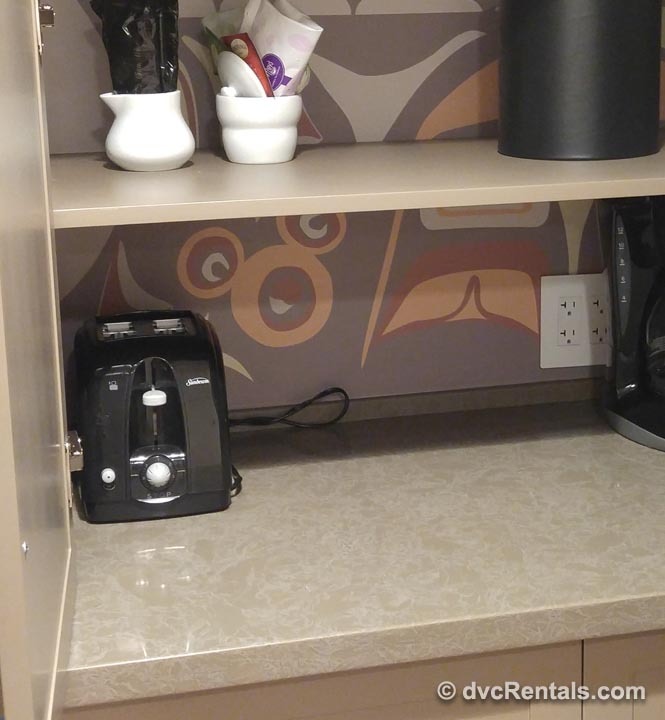 Guests, like myself, who are willing to search for Hidden Mickeys, can find them within their rooms. The largest room size at Boulder Ridge is a 2 bedroom villa which has an occupancy for 8 guests, plus 1 infant under the age of 3. 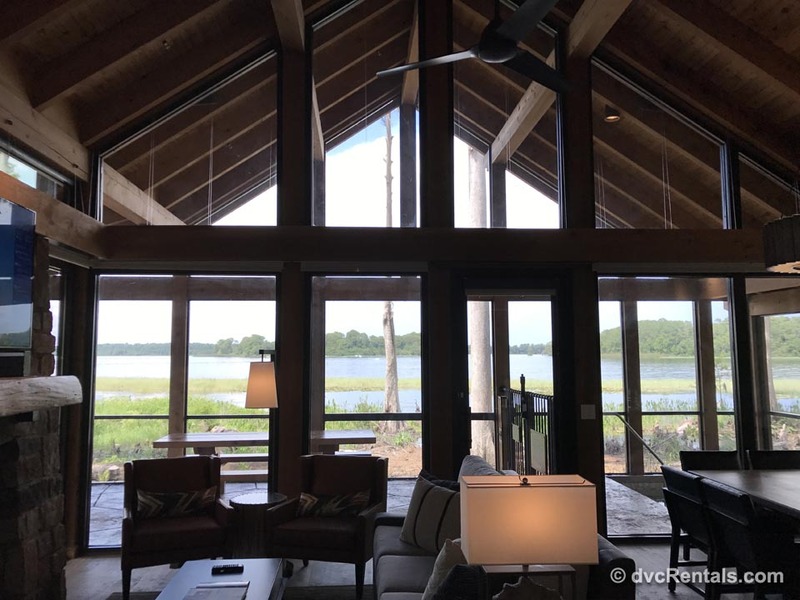 In comparison, Copper Creek has gone bigger and offers the 3 bedroom Grand Villa, accommodating up to 12 guests, and 1 infant under the age of 3. In my opinion, all Grand Villas are impressive (many of them larger then my house), but the Copper Creek Grand Villa had taken the top spot on my wish list. A great feature in the living room is the “L” shape sectional which also pulls out into a queen size sleeper sofa. I love the way natural elements are incorporated within the design. 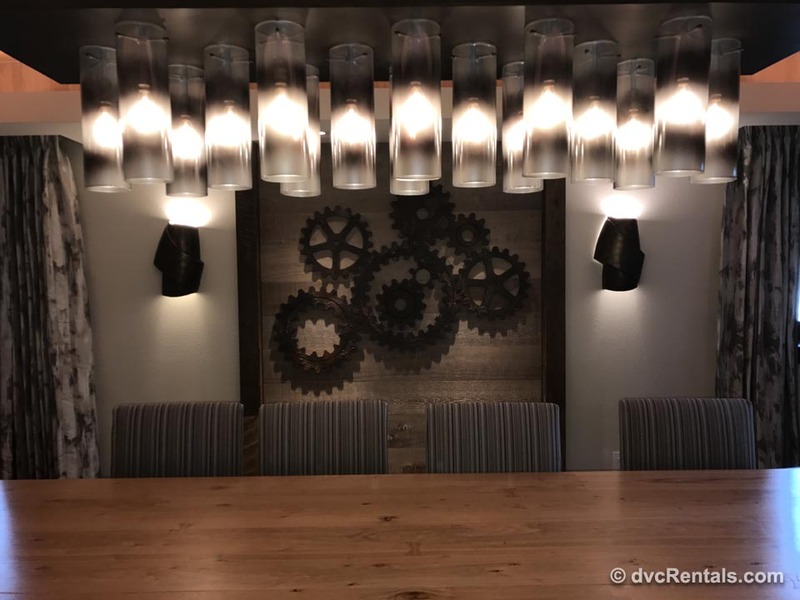 Be it the wooden tables, granite counters or stone flooring; its all designed with such in-depth planning, its works together effortlessly. 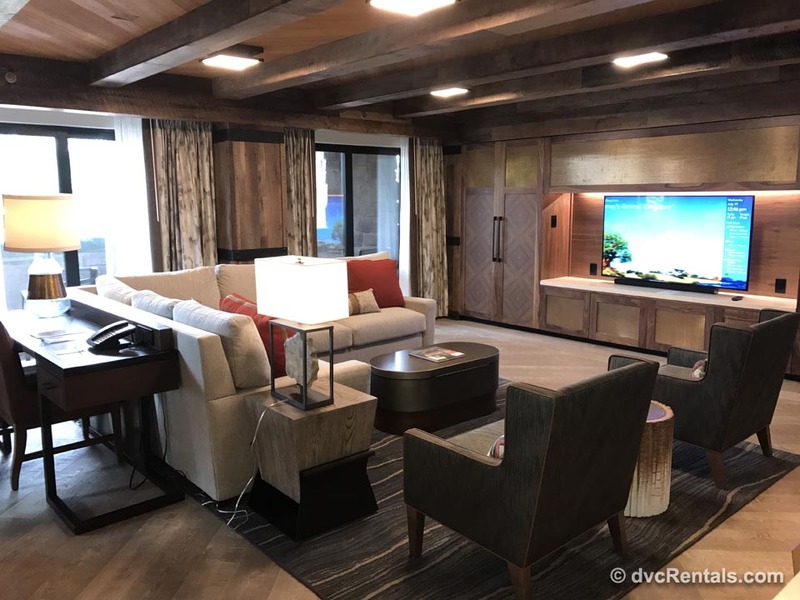 During construction, and still continuing on now even that the resort has opened, the Cabins have been the most popular topic of conversation amongst our team. Similar to the Polynesian bungalows, these are waterfront buildings, yet they have some very noteworthy differences. 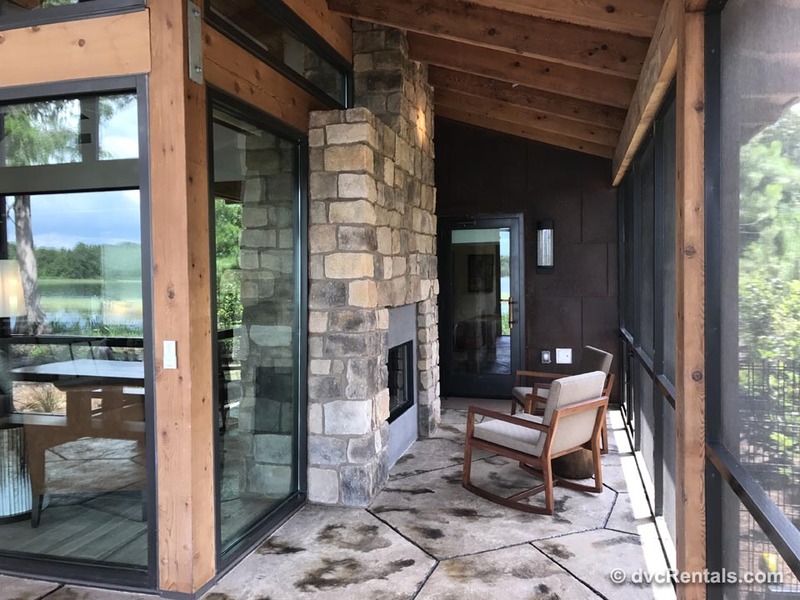 The screened-in porch has rocking chairs in front of a 2 sided fireplace which can be enjoyed from both within the cabin and outside on the porch. There’s a picnic table on the porch that invites guests to enjoy their meals outdoors and of course the built in hot-tub is differently appealing. 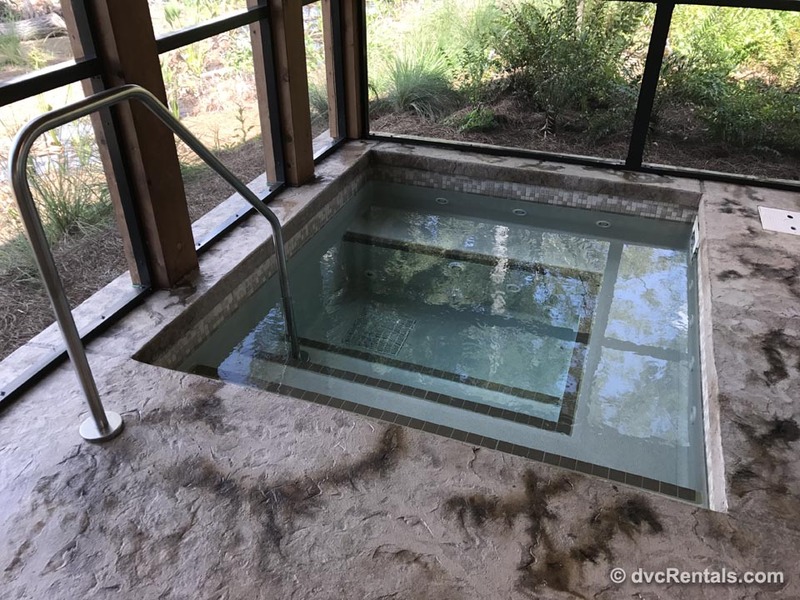 A nice relaxing soak after a day at the parks sounds like a little piece of Heaven. Within the cabin are 2 bedrooms each with their own charm. The master bedroom has an attached bath and the second bedroom has a pull-down bed accented with Chip n Dale artwork. 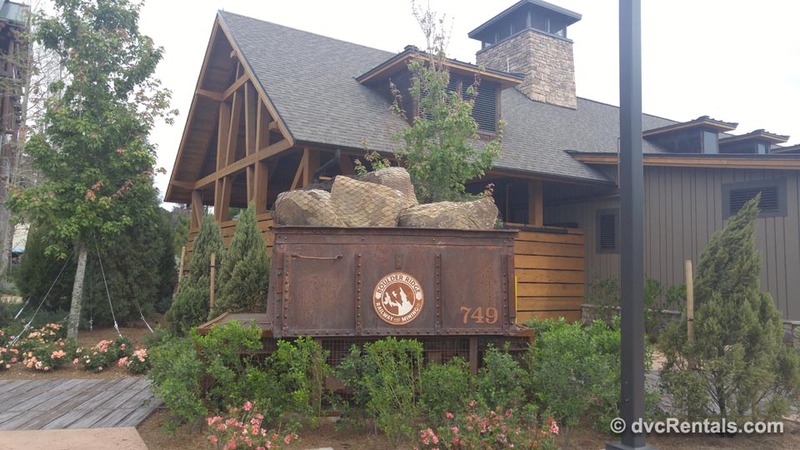 Looking at the changes that have occurred at Wilderness Lodge, I have to say I’m really excited at what’s been done. I now have 2 resorts, Boulder Ridge and Copper Creek, that I look forward to enjoying for years to come. 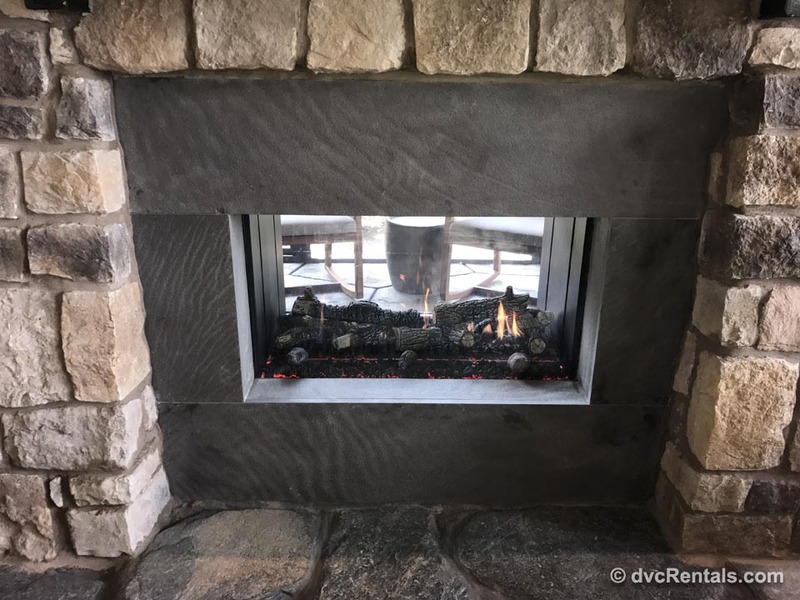 9 thoughts on "The Captivating Charm of Copper Creek"
Garen Danyi this looks amazing! Looks great but it’s not Beach Club. Chris Stroud we need to check these out when we go! They look amazing!